We have been developing apps for businesses in Leicester for years and we now have now expanded to providing app development in and around London. This means we can design, develop and deploy apps that continue to delight our local clients, but with the addition of specialists being based in London. Simply contact us to arrange an appointment. 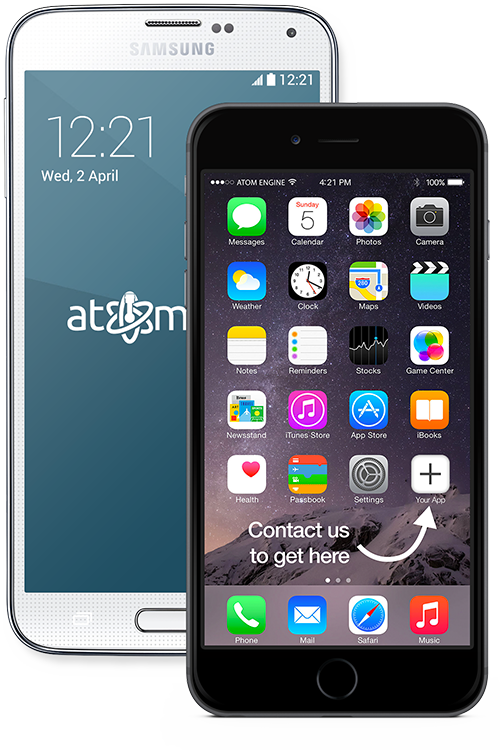 We are an app development company serving businesses throughout the UK. With staff based in Central London as well as our HQ in Leicester, we can deliver high-quality mobile apps for companies all over the country with our same great service, wherever you’re based. Our specialism is in creating bespoke iOS, Android and Web applications to help businesses to thrive. Our Technical Director, James will be happy to talk you through any idea you have for a project. Whether you are looking for an enterprise app as a multi-national corporation, or you’re a budding entrepreneur with an innovation in mind, we can help with your app development needs in London. We will get to know your business, your objectives and work closely with you at every stage of the project to ensure that you are delighted with the result. With our apps being used by companies in London such as Barclays, Sodexo, Pernod Ricard and the Starlight Children’s Foundation we are well placed to help you to achieve your goals. If you would like to talk through a project you have in mind, please get in touch today. We always like to hear new and interesting ideas, we will be happy to talk through your project in confidence. We now have a base in London so can easily reach most of the South East to discuss your needs. Once we’ve understood what you want to achieve and got all the information needed we can get to work on our proposal for bringing your app idea to life. We will analyse your initial idea and come up with a strategy for how we are going to produce the app and achieve your goals. In the majority of circumstances, we provide feedback and expertise on the first draft of the idea, helping to make the final project a success. We would only give you ethical advice and would never take on a client if we didn’t think there would be a successful outcome. There’s no hard sell. If you’d like to talk through a project, or just find out more about our company, then please get in touch to talk to one of our app development experts and see if your idea can become a reality.